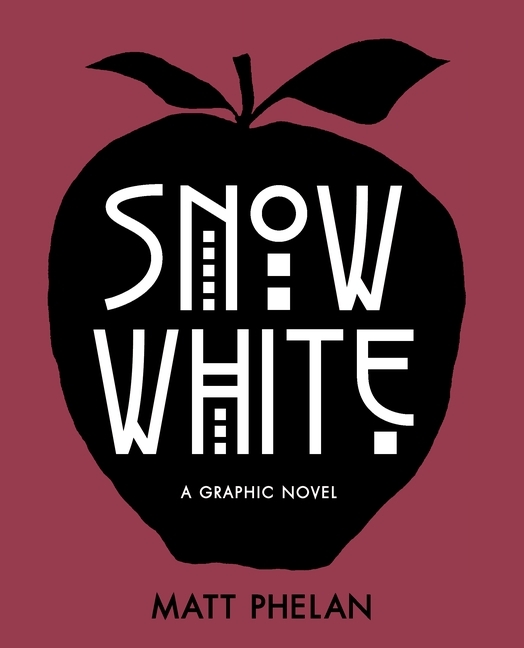 As you might expect from a book called Snow White, this graphic novel is a fairly faithful retelling of the popular fairy tale. The back story will be familiar: widowed father raises his daughter alone, then remarries – to a beautiful woman – who becomes increasingly jealous of the daughter. A “huntsman” is dispatched to kill the girl, but has a change of heart (punnnnnnnnnn). The daughter (Snow/Samantha), alone now, falls in with a group of seven little men (orphan boys), etc., etc. It’s all recognizable, and the ending is assured. So, why read this book? The art, of course! Matt Phelan’s past work is award-winning, and he is no less talented in this volume. The mix of watercolor and pencil/ink line work is subtle, dark, and atmospheric. It fits this 1930s, noir-ish iteration of the fairy tale very well. While there aren’t any true plot surprises, the enjoyment is in the subtle changes, differences, and the play of dark and light through the lens of Depression-era New York City. I also LOVED the Art Deco typeset used on the front cover – actually the simplicity and design of the front cover may be my favorite thing about the book. From the story, I liked that there’s a hint of uncertainty about whether it’s actually magic that the stepmother uses, or solely allure. I also thought the use of the ticker tape instead of the mirror on the wall was a clever substitution. The evil queen re-imagined as the star of the Ziegfeld Follies fit the time period, but the Follies and their context might not be familiar to readers in the intended age group. In some cases, that’s fine, because it will prompt research, but in this case it’s doubtful (tweaks to a familiar plot may trump interest in context). Things I didn’t like: this story is very light on dialogue. Since this story will be familiar to many readers already, not a fatal flaw, but in parts it simply feels quiet, rather than menacing (which I’m going to hazard a guess is the intent of some of the panels, but certainly not all). The second (and more substantial) criticism I had was from the point in the story where Snow White referred to opulent Christmastime department store window displays as a demonstration of ‘the magic of the city.’ The beautiful ‘magic’ of the displays in itself was not a problem – in fact, that window dressing is famous (and now traditional) and rightfully so. My issue was Snow’s audience: homeless boys who must huddle around a trash can fire for warmth, and to whom she was not offering (or able to offer) and real change in their circumstance. This juxtaposition lacked nuance and verged on needlessly cruel. Snow entreated them to find magic and beauty in something they could not have and would not have (at that point of the story), while they were struggling for survival. Some readers may not notice this scene, or dismiss it given later developments in the story, but to me it struck a tone of privilege. 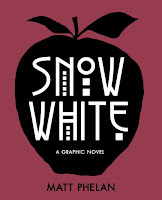 In the end, Snow White is a beautifully illustrated, if not innovative, take on the popular fairy tale. Recommended for: die-hard fans of fairy tales, and those with an eye to beautiful graphic novel design and illustration. Deckle edges. If you're a book worm like I am, you've probably come across them before. The uncut, random-looking pages (instead of a smooth cut) give a book that certain "something." Deckle edges convinced me to purchase my own hard copy of Laura Ruby’s York, and I'm so glad they did. This book could be defined many different ways (spec fic, alternate history, diverse sci-fi, a cross between The Mysterious Benedict Society and Scott Westerfeld's Leviathan...), but the thing that stands out to me is that it is incredibly, unbelievably of the moment. I know how long it takes to make a book, but if I didn't I'd think it was written two weeks ago. York is important and empathetic along with being smart and entertaining, and I think it might just be the perfect book for this year, for everyone. Tess and Theo Biedermann and their neighbor Jaime Cruz live in a city that is like New York City, but not. 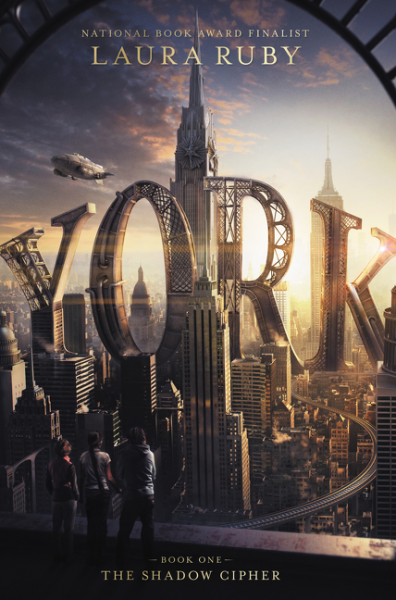 In this version of York the famous Morningstarr twins started inventing and building a fantastical array of dwellings, transportation, and life-like machines in the late 18th century, and the present-day result is a steampunk-like mashup of technological wonder. When they left, the Morningstarrs also left a trail of clues to rumored treasure – the mysterious Old York Cipher. For Tess, Theo, and Jaime, solving the Cipher may be the only way to keep their home safe from an avaricious real estate developer – but the clock is ticking. Will they solve the Cipher and save their building in time? One of the things that this book did so well was establish the motivations of each of the main characters in an authentic way. Ruthless real estate developer Darnell Slant wants to make money, and doesn’t care who he displaces (sound familiar?) or whether he destroys history. His hirelings Stoop and Pinscher possibly want something even more sinister, and they’re the everyday ‘face of evil.’ The Biedermann twins want to keep their home and life, their parents want them to face reality, and the whole family is still reeling from the absence of grandfather Biedermann, the one-time occupant of the building penthouse and former president of the Cipher Society. Jaime wants his father in his life, good things for his Mima, and to draw superheroes. Six-year-old neighbor girl Cricket wants to be a spy. And what did the long-gone Morningstarrs want? Why did they set up this treasure hunt? It’s a question that Tess, Theo and Jaime keep asking themselves, and bits and pieces of answers emerge throughout the story. The grand themes? The line between technology and life, injustice (racial, gender, socioeconomic), the definition of family (in its different forms) and home, and erasing the past for the sake of the future. Now on to the things that I liked particularly (a different kettle of fish from admiring a well-constructed plot & characters, or great writing! )(which this book has in spades): parents who are alive (how many times do you see that in a kidlit book?!)! A diverse main character and secondary characters! A main character with anxiety and a service animal. A cool map of alternate New York and great descriptions of that feeling of insignificance you get in big cities. Social justice (pro-immigrant, pro-education, pro-affordable housing) baked in. Added to that, this is just such a smart book, with believably smart characters. Author Ruby doesn’t hold back – her characters use big words and think big ideas because they are intelligent, and Ruby obviously believes her readers are as well. I love that trust in the reader, and I think readers will sense it immediately. I cannot forget to mention Chapter 7 (and then later Chapter 27), or as I am calling it, “In which we find out that six-year old Cricket (real name: Zelda) is HILARE” (hilare = hilarious without those pesky final two syllables)(a made-up word for the modern age which I am probably too old to use, but whatever). I want to be Cricket when I grow up. WHAT A RIOT. One of my favorite lines from a York (it consistently made me laugh out loud, btw) is in Cricket’s voice, from page 122: “What would a deathmetalhead raccoon wear? A helmet of course. Probably one with antlers.” I die. What did I dislike? One solitary thing, folks. And that is that it took until Chapter 2 (really Chapter 3 because there was a prologue) to get to the hook. Until then it’s a lot of set-up and I wasn’t sure why I should care. BUT ONCE THERE, well. I was on my way. In all, York hit all of the sweet spots: it was a funny, intelligent, and exciting read, and it made me think, feel, and reflect. I hope you’ll give it a chance! Recommended for: middle grade readers on up, and anyone who likes mystery, alternate cities, and clever speculative fiction. I went to BookExpo (for those not in the know, the biggest book conference in North America)(aka “BEA”) last week. I’ve been going every year since… oh… 2012? I’m insanely lucky and predictably nerdy, yes. I go for blogging, obvi, but I also manage the digital presence at my nonprofit, so this year I registered through work. I wasn’t sure how the “we’re cutting down on bloggers” direction the show was going would relate to me, an inconsistent small-timer, so I didn’t bother to try registering as press or as a blogger. If you saw me at the show, I was wearing a badge that said “Cecelia, Digital Content Strategist, [nonprofit name], NON-PROFIT.” Pretty VIP (but only on opposite day). Let me recap: somehow I manage to attend a huge BOOK CONFERENCE every year and hang out with BOOK PEOPLE all day. It’s basically heaven!!! Here’s what I saw and did, and also there’s a giveaway at the end if you’re into that kind of thing (yay!). On Wednesday I worked a half-day and then took the bus up to NYC. I checked in to my friend Liza’s hotel room (thanks, dude!) and headed over to Blogbound Con for the evening. 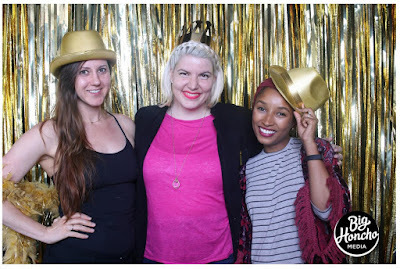 I attended Blogbound in July last year and had a fantastic time – it was free, had great programming, and a diverse audience. This time around it seemed a little less fabulous, but I definitely enjoyed the two panels I stayed for (Writing for 3rd Party Outlets & Tackling Problematic Books in Our Current Political Climate). Afterward, a non-blogging friend and I hit up Buvette, a tiny French cafe that I can’t recommend enough. Like, the food KILLED, they had a pop-up menu, and it was adorbs. Also $$$, but I like to splurge on good food once in a (long) while, so. And then I went back to the hotel and crashed, b/c I had to be up v. v. early the next morning. Thursday morning started SO EARLY I CAN’T EVEN believe it in retrospect. I was out of the hotel room by 6:50am because…. I had a hair appointment! No, really, for real. When I checked out the hotel amenities online I noticed that they had a blow dry bar on site. And I’ve never been to one, but every time I get my hair done for anything (weddings) I request a braid, so I was like, why not? AND CAN I JUST TELL YOU, the braid was a *great* decision. Everyone complimented it and it still looked fabulous late that evening. Solid choices, past me. I arrived at the Javits (the conference location) a little after 7:30 and lined up for a Maggie Stiefvater autograph ticket (which I got!) for her upcoming standalone All the Crooked Saints. And then I lined up for the show floor, which opened at 9, and met some lovely people and had a tote bag and ARC (advanced review copy) handed to me by an enthusiastic bride as promotion for a book that released today (the book is The People We Hate at the Wedding). When the show floor opened I wandered around a bit and ended up at the Macmillan booth, where the author of said book was hanging out with the Flatiron Books staff and the bride. The bride serenaded me, author Grant Ginder signed my book on the spot, and the whole thing basically made my morning. Friday seemed crazier. Was it crazier in reality? Dunno. BUT. I didn’t really stop at all that day (minus a few fun photo opps). I met Leigh Bardugo and she told me my hair was so cute she wanted to punch it. She also signed a copy of Warbringer (the Wonder Woman YA novel!) for me. For a bit I was a booktubing group’s unofficial photographer. I also snagged Holly Black’s The Cruel Prince with some creative planning and line watching. It… was a lot. At the end of the show I shipped my books via UPS onsite, and then I sat down for like a half minute before heading off to the Fierce Reads author-blogger party. WHICH WAS GREAT. I chatted with Tomi Adeyemi (I added her book to Goodreads!) & Tillie Walden (comic artist I supported on Patreon! ), some ladies from Forever Young Adult, and hugged author Emmy Laybourne twice (may have been tipsy by then). Publicist Gina from First Second gave me an amazing MCU fanfic rec. So, a successful party all-around. AND THEN I TOOK THE BUS HOME. Whew, I got tired writing that all out! I hope you can tell that it was the most fun. B/c it totes was. And! To celebrate, I’m currently hosting my first ever Instagram book giveaway! Check it out. To enter you need to like & comment over on insta. Giveaway includes the items shown and ends tomorrow, June 7 at 11:59pm EST. Winner will be selected randomly and notified via the ‘gram. Good luck!